Panspermia is the (hilarious) name given to a theoretical discussion about terrestrial life originating from someplace extraterrestrial, beyond Earth. The panspermia argument began with Francis Crick, the co-discoverer of the structure of DNA molecules. If “panspermia” sounds like a science fiction idea from the 70’s you aren’t thinking too far off. While Crick is famous for the DNA thing, he actually had a more implausible idea about aliens and the origin of life. One that never stood up to scientific scrutiny but makes its way back into scientific debates from time to time. Who knows? Maybe this guy started it all. 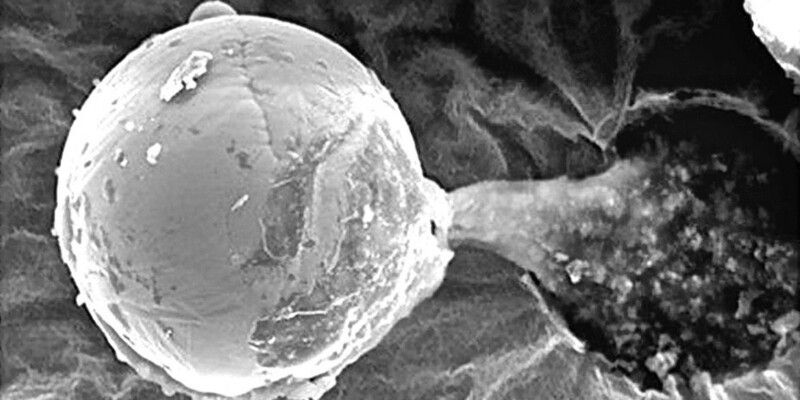 Over the years there have been several discoveries panspermia supporters point to excitedly, claiming they have found proof of alien life. The latest new piece of evidence comes from Milton Wainwright at The University of Buckingham. While the object was found embedded in a weather balloon designed to collect upper atmosphere debris, and it is undeniably a biosignature of some sort, it doesn’t definitively support the panspermia theory, despite recent, high-profile headlines. Um, yeah. So the guy quoted all over the new evidence is actually the first in line to warn against jumping to the conclusion that we are all aliens. Still, it’s a very exciting theory. 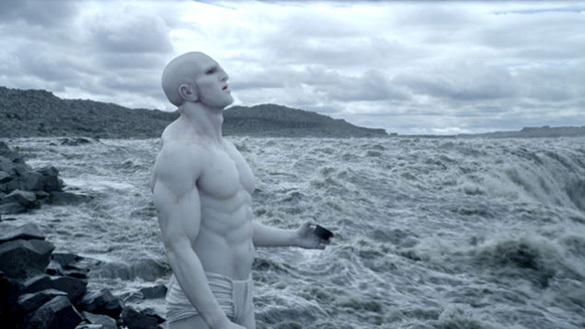 Let’s take a look at other samples from various parts of Earth and beyond that have allowed dreamers to fabricate theories of life’s supposed extraterrestrial origin. Tiny, microscopic magnetite crystals were found in meteorite ALH84001. Not a lot can be proven from this undeniably interesting piece of space rock. The meteorite is likely Martian in origin. It’s famously debated because of a handful of potential biosignatures. Some scientists insisted only bacteria could have caused the crystal formations . They turned out to be wrong; similar formations can be found forming by complex physics, without life intervening. Several other “possible biosignatures” have been investigated int he sample. There is a working hypothesis but not an empirical confirmation of life. Proof of an extraterrestrial form of life would mean these so-called biosignatures could have been formed by a living thing and only a living thing – which is clearly not the case. One such biosig was a small-pattern texture that resembled one from a known bacteria. A scientific majority ultimately decided these textures were small to be fossilized cells. Meteorite ALH84001 is a curiosity, a rare find and an amazing natural occurrence but it is not proof of the panspermia theory. Then there is the Kerala red rain phenomenon happened in Kerala, India from 25 July to 23 September 2001. Heavy showers brought a peculiar, red-coloured liquid. The “blood rains” fell all along the southern Indian state of Kerala staining fabrics and causing alarm. Other colours were reported but the majority of reports and samples were red in color. It’s happened several times since, most recently in June 2012. A photo-microscopy examination brought an initial rumor to the media: the source oft he red color was a meteor shower or explosion from asteroid particles heating up on entry to Earth’s atmosphere. Early misreports like that often cause rumors or conspiracy theories when the official story gets redacted. In this case, a detailed study commissioned by the Government of India announced the rains had been dyed by airborne spores originating from a prolific colony of terrestrial, forest algae. It’s still a mysterious phenomenon but the genetic makeup of the cells found in red rain is far too common for the sample to be extraterrestrial. Tardigrades are so durable they seem to be able to survive for a long time when they enter a strange, dehydrated state. Tardigrades are one of the only species who can suspend their metabolism and going into a state of cryptobiosis. Several varieties of tardigrade can stay hibernating for nearly 10 years. While in this state, tardigrade metabolism falls to 0.01% and their water content goes down to 1% of normal. Tardigrades would make excellent space travellers because they can withstand extreme environments most other lifeforms would be destroyed in, including extremes of temperature, pressure, dehydration and radiation, environmental toxins, and outer space vacuum conditions. 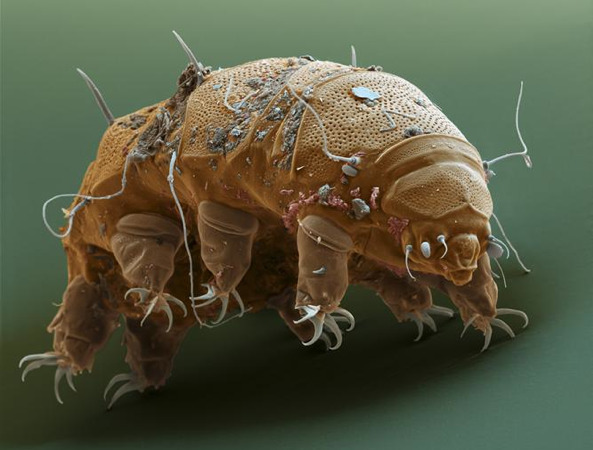 Wikipedia points out: tardigrades are the first known animal to survive in space. On September 2007, dehydrated tardigrades were taken into low Earth orbit on the FOTON-M3 mission carrying the BIOPAN astrobiology payload. For 10 days, groups of tardigrades were exposed to the hard vacuum of outer space, or vacuum and solar UV radiation. After being rehydrated back on Earth, over 68% of the subjects protected from high-energy UV radiation revived within 30 minutes following rehydration, but subsequent mortality was high; many of these produced viable embryos. In contrast, dehydrated samples exposed to the combined effect of vacuum and full solar UV radiation had significantly reduced survival, with only three subjects of Milnesium tardigradum surviving. In May 2011, Italian scientists sent tardigrades on board the International Space Station along with other extremophiles on STS-134, the final flight of Space Shuttle Endeavour. Their conclusion was that microgravity and cosmic radiation “did not significantly affect survival of tardigrades in flight, confirming that tardigrades represent a useful animal for space research.” In November 2011, they were among the organisms to be sent by the US-based Planetary Society on the Russian Fobos-Grunt mission’s Living Interplanetary Flight Experiment to Phobos; however, the launch failed. It remains unclear whether tardigrade specimens survived the failed launch. Tardigrades can survive in space but that doesn’t mean they came from space. They have strong genetic ties with several other animals in the Panarthropoda group. They appear to have evolved on Earth but will likely be studied for years to come because of the adaptable nature of Earth life they represent.